No More Father's Day Cards! What you say? Is she against fathers? No way!! Has she lost her mind? Now that is debatable! How many Dads do you know who read the card you've labored hours over (or stood in front of the card rack for hours for!) and then into the trash it goes or stuffed into a drawer never again to see the light of day. Why not give Dad a gift he'll treasure forever? Start a journal that the kids can begin with scribbles and continue every year for the rest of their lives? Need some inspiration? Head to the May Arts blog to see my project and get those creative juices flowing. Here's my submission: I used OWH Sketch 225 or my layout. 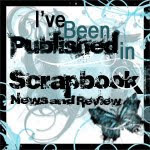 I am so honored to be able to participate in the Operation Write Home Blog Hop. Our military men and women are far from home without the daily love and support of their loved ones. OWH gives them a way to stay in touch. Thanks OWH and May Arts for giving us a way to be encouragers to our brave men and women in the military. God Bless our men and women in the military, past and present. Freedom is not free and we so appreciate their sacrifice. May Arts Ribbon used: (All ribbons were run through the Xyron to make sure they were good and sticky. It's here! 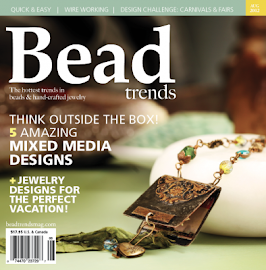 Calling all Ribbon Lovers to submit to the May Arts Design Team for 2014-15. Do you LOVE creating with ribbon? 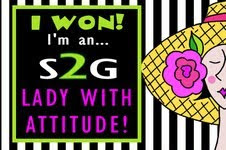 Then this is your chance to strut your stuff. You'll find all the details on the May Arts blog. 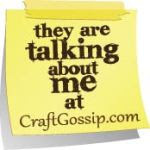 It's Day 4 of the May Arts/AveryElle/UmWow Blog Hop. Head to the May Arts blog to find out how to win some awesome prizes and head to these fab blogs for inspiration! It's Day 3 of the May Arts/AveryElle/UmWow Blog Hop. Head to the May Arts blog to find out how to win some awesome prizes and head to these fab blogs for inspiration! It's Day 2 of the May Arts/AveryElle/UmWow Blog Hop. Head to the May Arts blog to find out how to win some awesome prizes and head to these fab blogs for inspiration! It's May Arts/ Avery Elle/UmWow Blog Week! 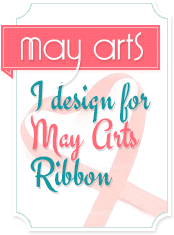 Be sure to check out the May Arts Blog daily for inspiration and a chance to win some awesome ribbon, of course! Be sure to comment to win! The Ribbon Lady challenged the Ribbonistas to make our own versions of a Ragamuffin banner. I almost didn't play because my style is definitely not Shabby Chic but I'm so glad I changed my mind. You know I love to make gifts and gift bags so here's my version, a Ragamuffin Gift Bag! Every piece of ribbon came from my scrap bin except May Arts Vintage Burlap torn into stripes,and May Arts 5/8" Sheer Nylon Edge. I started with a piece of May Arts Jute Cord measured to go around all four sides of my bag plus 6 inches. Then I just began tying on pieces of scrap ribbon. Most were between 10-12 inches long. Once my ribbons were tied onto the jute cord, I covered my bag front and back with beautiful DCWV Designer paper from the Dear Jane stack. Have you seen that stack? Gorgeous! I wanted to make sure the top of the bag didn't tear, so I used packing tape to go around the top on both the inside and the outside...two layers. Then I used my Crop-a-Dile to add eyelets. After that, I just tied the Ragamuffin trim on with the Sheer Nylon Edge Ribbon. I tied the free burlap cord ends to the bag handles. I found two pieces of gorgeous May Arts Silk ribbon in my stash so I used that to wrap the handles securing the ends with Scor-Tape. I think I love it ...it's going to be hard to give this one away!